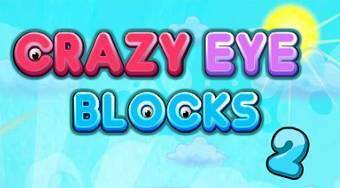 Do you like Crazy Eye Blocks 2? Share it with your friends. Crazy Eye Blocks 2 - place tetris blocks on the playing field creating a line of at least four blocks of the same color and thus remove them off the board.